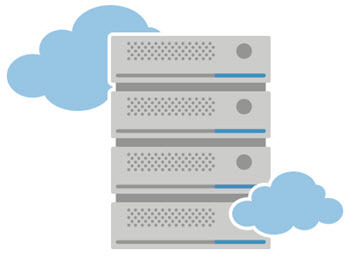 Cloud hosting is hosting that is based on the cloud instead of a certain server. The cloud consists of a large number of different servers and your website is usually spread over several of them if you use cloud hosting. The cloud is meant to make sure that your website remains unaffected even if one server, one node in the cloud goes down. If this happens then the other nodes step up and takes the place of the damaged ones. Any damaged node can easily be replaced or upgraded. Cloud hosting offers a number of benefits compared to other types of hosting. The most important benefits are that cloud hosting is more resistant to failures since it is less dependent on a single node and that cloud hosting is a lot easier to scale as needed. Cloud hosting make it very easy to add or remove resources as needed. You do not need to wait for the server to be upgraded or for the new server to be built. 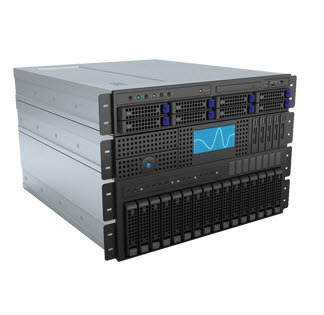 You can add extra capacity to your server instantly as needed. Cloud hosting makes possible to create new hosting instances on the fly and you always have all the resources need to host your websites. The fact that you easily can scale your hosting up and down means that cloud hosting makes it very easy to always have a hosting environment that suits your needs perfectly. You never have to migrate your site to new hosting or a new server. If your website outgrows your current hosting then you can simple assign more resources to the hosting. There is no down time since the site remains on the same hosting. You never have to worry whether the website is going to run well in the new environment or if there will be problems. The environment remains the same as it scales with you. Another big benefit with cloud hosting is that you only pay for what you actually use. You do not have a large monthly rental fee. Instead you pay for the resources you use. 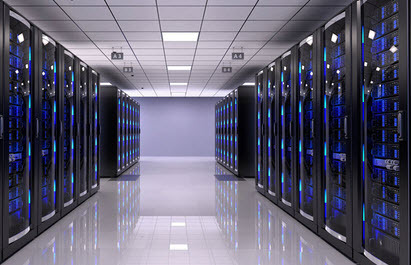 This make cloud hosting a very good option for websites with fluctuating traffic. If you use regular hosting then you need to pay for a hosting environment that is large enough to handle the spikes. If you use cloud hosting than you will use a lot less resources and can scale it up when traffic spikes. This makes it a lot cheaper since you only pay for a lot of resources when you really need them. Prune to attacks. Clouds are popular targets among hackers. Bad service. It is common that you are expected to be more knowledgeable if you chose cloud hosting and many companies therefore offer less support than you would get with regular hosting.